Some of the many types of custom website designs that we can design for you. From clean, minimalist designs to colourful funky ones. A great looking website designed with the client's input. 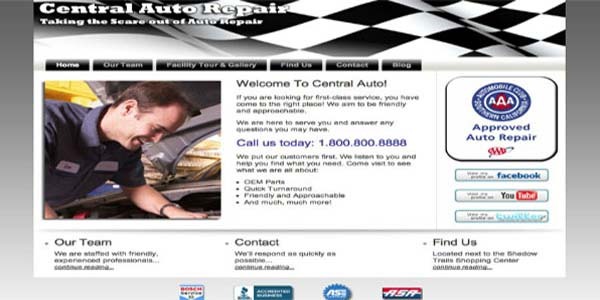 An example of an auto business website built on WordPress. This website has a clean, professional look from a blue, black & white scheme, a popular colour combination often used in business websites. Note how we used an interesting background to made this website "pop". Note how we've have used the background colours here to give this website a unique look from the traditional white background websites. 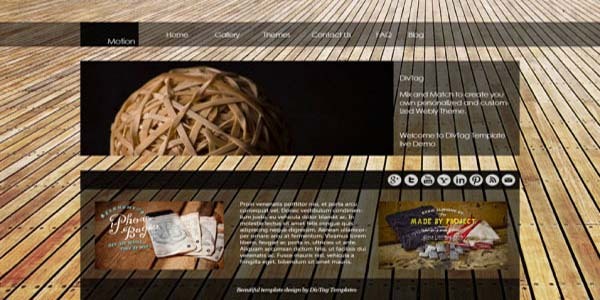 Why Let NoticedWebsites Design a Custom Website for You? is search engine keyword optimized and has a site map for search engines like Google, Bing, etc. is secure so that Google does not penalize your website in its search rankings as not secure, starting in July 2018.
comes with many features that you can chose to add to customize your website with (e.g. location map, contact form, social media buttons, etc. & more). NOTE: Most of the features are free though some may have an extra charge to them depending on the feature. See our Completed Websites or Predesigned Website Examples (opens in new windows) to see more examples of custom websites designed for various businesses and organizations. This package comes with everything you need for your business, organizational or personal website. for only $697 Canadian. American buyers or paying in US dollars get roughly 20%+ discount, depending on the current rate of exchange. 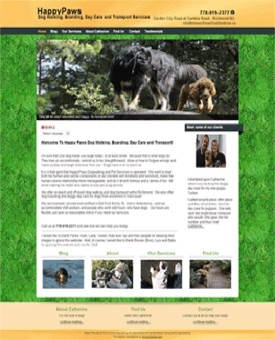 Add a blog page or testimonial page, each for only $75 Canadian. A blog page shows your knowledge of the business you are in, thus establishing your authority. A testimonial page shows past customers recommend you, thus establishing your social proof. Extra pages like portfolio, FAQ, detailed product/service pages, etc., can be added at $200 Canadian per page. 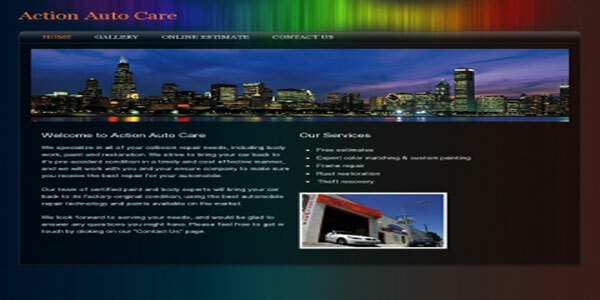 We can also design custom one page websites of up to 5 sections. Please enquire if you are interested in a one page website. See HubbyForHire.ca as one example of a one page custom website design. Note: Websites have recurring costs. There’s a monthly charge to host a website on the Internet, typically $20 per month, and a yearly charge to renew your domain name (i.e. yourBusinessName.com), typically $15 per year that you will need to budget for. Add another revenue stream to your business by enabling your customers to buy your products or services 24/7 right from your site. A basic ecommerce store of up to three products or services can be added to your website for only $47 Canadian! The usual $399 ecommerce set up fee is waived. If you would like to sell more than three products or services online, they can be added to your ecommerce store starting at $125 per item. This per item pricing goes down as more items are added to your store, giving you the flexibility of growing your online store—and revenue—as your store generates more business for you. This service is available on a case by case basis. If you would like to add ecommerce to your Facebook Business Page, please contact us below and we will send you more information. With the content (product pictures, description, etc.) supplied by you and your colour and design preferences, we will design your website to your satisfaction, subject to a maximum number of edits. If for any reason you are not satisfied after three rounds of edits your website, we will refund your deposit on request. A 50% deposit is required when you hire us and final payment is due before your website goes live.